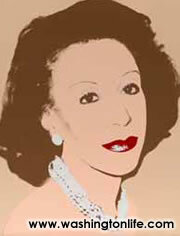 In 1955, Coco Chanel revolutionized the handbag with the launch of the Chanel 2-55 Bag. With their chain shoulder strap, these bags were the first bags worn on the shoulder, liberating women’s hands. For its fiftieth anniversary, Chanel has produced an exact copy of the first model (shown above) in quilted leather with same rectangular fastener of the original. The bag is now also available in three different colors and five sizes. Chanel handbags are sold at Neiman Marcus and Saks Fifth Avenue. Developer Anthony Lanier has already enticed stores Gore Dean Antiques, Contemporaria, Design Within Reach and Baker Furniture to move into the Georgetown design district Cady’s Alley, and esteemed Brazilian furniture manufacturer Artefacto is the latest addition. The company is well-known for sleek, streamlined pieces designed with Italian, French and Asian influences made with imported leather, suede, raw silks, linen and other natural materials. The hip showroom brings a fashion element to design and features a collection of artwork from 25 Brazilian contemporary artists. With swanky showrooms throughout Brazil and several in Florida, all products are the visions of its renowned Brazilian design team. 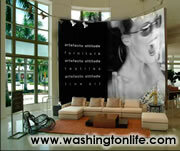 In the words of owner Paulo Bacchi,“Artefacto is for people who are not timid about expressing their style. And your style should be an expression of your life: the people you know, the city in which you live, the places you’ve been. So, Artefacto brings you a mix of styles to allow you to create your own.” Bacchi says the store here represents a “classic collection that we’ve restructured for a modern sensibility— that’s why Washington is such a fit. And what better way to celebrate our 30th anniversary by opening our store in the capital of the world!” The showroom opened on October 20 for a VIP launch party. Provisions Library in Dupont Circle will be celebrating the synergy of arts and social activism by showcasing some of the area’s leading poets, hip hop and performance artists on November 14 with “Amplify! A benefit for Provisions Library,” at Busboys and Poets, a hot new restaurant at 14th and V Streets, N.W. The facility offers a reading room, community forum, research center and an arts and cultural venue with an emphasis on fiction, poetry and memoirs. Performers at the benefit will include DJ’s Iona Rozeal Brown and Kristina Gray, poet E.
Morou wowed them with pumpkin and lobster tea, pumpkin beignets and pumpkin sour cream with caviar. 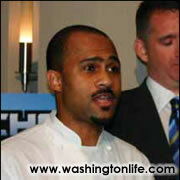 (All three chefs were nominees for Washington’s Chef of the Year Award at the 2005 RAMMY Restaurant Awards.) Morou hails from West Africa’s Ivory Coast and spices up his cuisine with a medley of African, French and American ingredients. He will compete against one of the three Iron Chefs: Bobby Flay, Mario Batali or Masaharu Morimoto. The show will air in 2006.